Do you hate cleaning your kitchen, yet you simply cannot accept the sink full of dirty dishes? Do you prefer your kitchen clean and clear, yet you don’t have enough time to maintain its cleanliness? Contrary to popular belief, domestic cleaning services are not reserved for the elite class; anyone with lack of time or desire to spend their “free time” cleaning might need some help around. Yes, even you! Nowadays, it’s easier than ever to hire a cleaner, but still there are some tips on booking domestic cleaning services properly! Know Your Kitchen. Do you know how much time it takes to clean your kitchen? Try cleaning the oven with a timer and you’ll realize that this tip isn’t as futile as it sounds in the first place. It’s vital to know how long does it take for someone to completely clean your kitchen; most domestic cleaning services are charging per hour. You can expect them to be a little faster or slower than you, but if they promise they’ll clean your entire kitchen in an hour, well, don’t hire them. Be informed. Talking about charging per hour, it’s important to know the market rate for domestic cleaning services. Talk to your friends and family about how much they’re paying for these services. Even better, talk to your neighbors. Also, you can look for the market rate for an hour worth of domestic cleaning services online. This will help you take everything into account before hiring a maid and you are less likely to be cheated. Don’t forget pre-cleaning. Is it hard for you to pick up all those unnecessary objects that are in the wrong places, lying around your kitchen? It’s not, really. 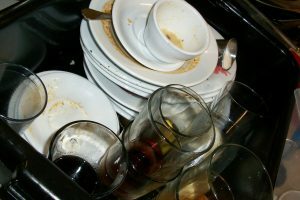 Still, these small pre-cleaning tasks will help you make the most of your domestic cleaning services; your cleaners won’t spend their time doing this and they’ll focus on what really matters.